According to targets set by the NHS, it is expected to take no more than 15 minutes for a patient to be handed into the care of hospital emergency department staff once an ambulance arrives at hospital. The ambulance crew are then expected to clean their vehicle and be available to respond to a 999 call within another 15 minutes. 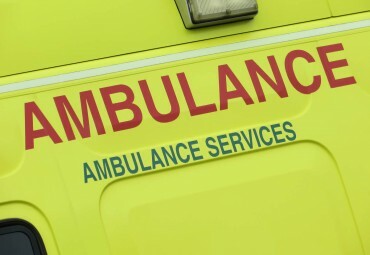 However, a recent report by East of England Ambulance Service shows that in June an additional 374 hours were spent by ambulance staff treating patients who could not be admitted to Colchester General Hospital within 15 minutes of their arrival. Colchester General Hospital has the highest wait time of the five NHS Hospital Trusts within Essex and unfortunately has been consistently number one this year for wait times (within the East of England), except in April when they were a very close second. An average of 526 hours per month has been spent by ambulance staff at the hospital each month treating patients before they could be admitted to A&E – time when the ambulance should have been able to respond to 999 calls. The East of England Ambulance performance reports can be accessed by clicking here. If you think that you may have been the victim of medical negligence the experienced team at TSP can help. To find out more about how we can help click here or to contact our team click here. We offer a free of charge, no obligation interview, which can take place either on the telephone or in person, and there are a number of funding options for your claim which we are happy to discuss with you.